The global non-alcoholic steatohepatitis (NASH) market generated $1,179 million in 2017, and is projected to reach $21,478 million by 2025, growing at a CAGR of 58.4% from 2021 to 2025. Nonalcoholic steatohepatitis is a form of liver disease that develops in patients who are not alcoholic or consume little alcohol. Non-alcoholic steatohepatitis (NASH), is one of the common liver diseases, often called silent liver disease. The major feature in NASH is fat deposition in the liver, along with inflammation. Non-alcoholic steatohepatitis (NASH) market is projected to exhibit double digit growth during the forecast period majorly due to growth in demand for ideal NASH therapeutics, surge in the prevalence of NASH, and expected launch of pipeline drugs during the forecast period. In addition, surge in prevalence of diabetes & obesity and improvement in awareness of NASH in developing region is projected to supplement the market growth during the forecast period. However, poor diagnosis of the disease and lack of ideal diagnostic techniques are projected to limit the market growth. The global non-alcoholic steatohepatitis (NASH) market is segmented based on drug type, sales channel, and region. Based on drug type, the market is divided as vitamin E & pioglitazone, ocaliva, elafibranor, and selonsertib & cenicriviroc. According to sales channel, the market is classified into hospital pharmacy, online provider, and retail pharmacy. Based on region, the market is studied across North America (U.S., Canada, and Mexico), Europe (Germany, France, UK, Italy, Spain, and rest of Europe), Asia-Pacific (China, Japan, Australia, India, South Korea, and rest of Asia-Pacific), and LAMEA (Brazil, South Africa, Saudi Arabia, and rest of LAMEA). At present, there is no FDA-approved drug to treat NASH. Lifestyle interventions are the first-line approach to manage patients with NASH; and then vitamin E & pioglitazone are recommended as first line drugs. Based on drug type, non-alcoholic steatohepatitis (NASH) market is segmented as vitamin E & pioglitazone, obeticholic Acid (OCA), elafibranor, and selonsertib & cenicriviroc. At present, vitamin E & pioglitazone segment dominates the non-alcoholic steatohepatitis (NASH) market, due to efficacy. On the other hand, elafibranor and selonsertib & cenicriviroc segments are expected to exhibit significant growth in the future, majorly due to its effectiveness in severely affected NASH patients. According to sales channel, the global non-alcoholic steatohepatitis (NASH) market is categorized into hospital pharmacy, online provider, and retail pharmacy. At present, the retail pharmacy segment is the major revenue contributor, and is estimated to remain dominant during the forecast period due to the strong presence of drug stores & retail pharmacies around the world. On the other side, the online provider segment is anticipated to exhibit the fastest market growth due to rise in awareness of online pharmacies and increase in preference for online purchase over the traditional methods. 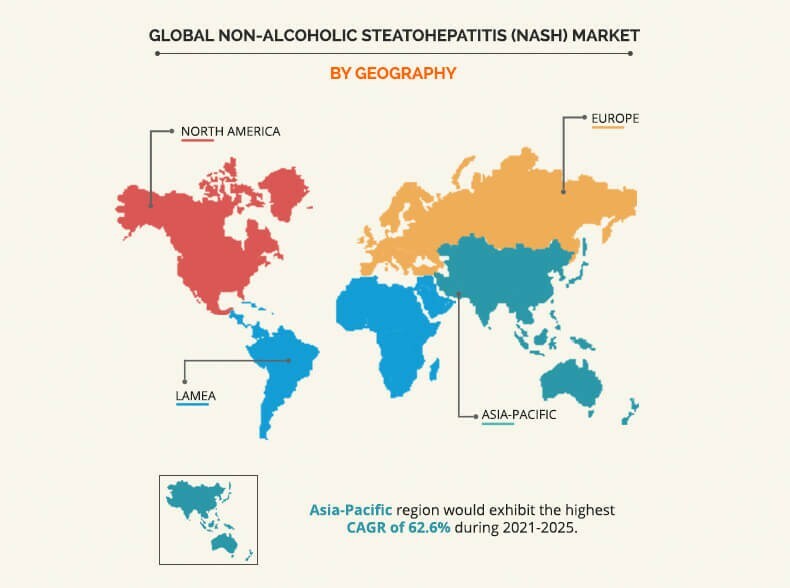 Asia-Pacific presents lucrative opportunities for the key players operating in the non-alcoholic steatohepatitis (NASH) market. Some factors such as growth in diagnostic techniques, rapid rise in prevalence NASH, growth in economies, and increase in demand for NASH therapeutics drive the market growth in Asia-Pacific. Some other factors such as developing healthcare infrastructure, emerging economies, and growing rate of diagnosis are further expected to support the growth of the non-alcoholic steatohepatitis (NASH) market in Asia-Pacific. Moreover, increase in healthcare awareness in the emerging economies such as India and China further fuel the growth of the market. The key players profiled in the non-alcoholic steatohepatitis (NASH) market report include Allergan plc. 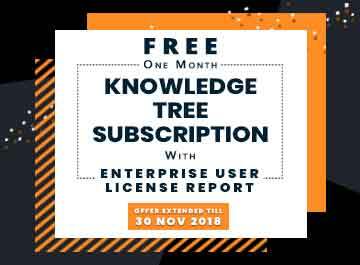 (Tobira Therapeutics), Cadila Healthcare Limited, Conatus Pharmaceuticals Inc., Galmed Pharmaceuticals Ltd, Gemphire Therapeutics Inc., Genfit SA, Gilead Sciences, Inc., Intercept Pharmaceuticals, Inc., Novartis International AG, and Shire Plc. The study provides an in-depth analysis of the non-alcoholic steatohepatitis (NASH) market size along with the current trends and future estimations to elucidate the imminent investment pockets. Nonalcoholic steatohepatitis is a form of liver disease that develops in patients who are not alcoholic. It is one of the common liver disease often called silent liver disease. It is developed due to fat deposition in the liver, which results into along with inflammation and damage. The adoption NASH therapeutics is expected to increase in near future due to surge in the prevalence of NASH, and expected launch of pipeline drugs. In addition, growth in demand for ideal therapeutics due to the higher number of unmet needs further drive the market growth. Furthermore, surge in prevalence of diabetes & obesity and improvement in awareness of NASH in the developing region is projected to supplement the market growth during the forecast period. However, poor diagnosis of the disease and lack of ideal diagnostic techniques hinder the market growth. North America is major revenue contributor and expected to remain dominant during the forecast period due to higher number of affected population and higher treatment awareness. In addition, Asia-Pacific and LAMEA are expected to offer lucrative opportunities to the key players during the forecast period due to growth in healthcare awareness, rise in incidence of NASH, and development in economies.